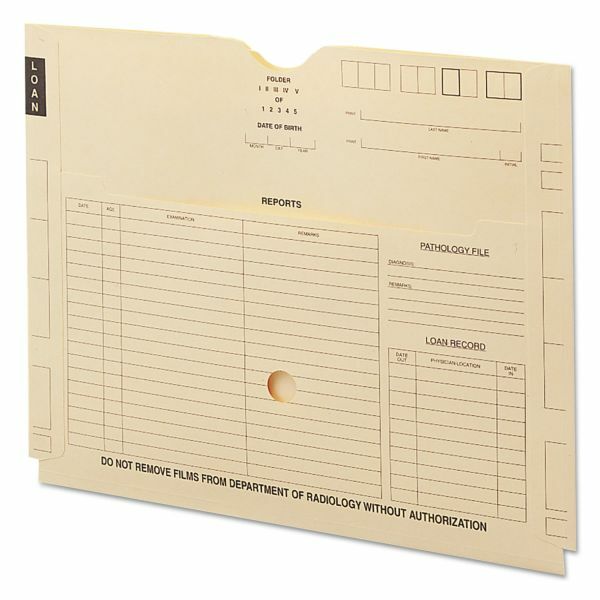 Features a low-cut front panel and an interior divider to create a “kangaroo” style pocket for storing patient reports in addition to the X-rays or charts in the main pocket. 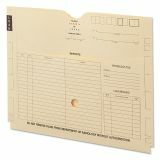 Smead X-Ray End Tab File Jacket w/Pocket, 18 1/4 x 14 1/2, 11 Pt Manila, 100/Carton - X-ray jackets are made of heavy, 11 point stock with report pocket. Printed to accommodate the recording of X-ray dates and notations. X-ray jackets do not include labels.